10 Biggest Problems Facing Your Business Network | Central Business Systems, Inc.
Today’s big IT advantages come with major risks. Your Networks and Systems serve as your silent partner in Operations. Should they fail – and when they do, it is usually without warning – you are exposed not just to an IT problem, but to a potentially large business problem. It is just common sense: you restrict crucial information, such as bank accounts and inventory access, to carefully designated employees. Yet many businesses have lost control of their network's user level access privileges, exposing vital company and client data to people without authorization. One of the first steps toward Security is to be sure the right people have the right level of access to appropriate applications and data. On the one hand, new devices such as smart phones and tablets can increase employee productivity - and when employees use their own devices, save the company money. But this new "bring your own device" (BYOD) environment brings new headaches, too. These devices are easily lost and stolen. When they are, any information available to the device - including confidential practice and client data - may be vulnerable to illicit access. Yet fewer than 50% of businesses report the ability to use data encryption and/or remote data wiping to protect their assets. Take stock of your data inventory: you need to share permissions reports that reveal which devices and users have access to which files and applications. Your business is not limited to your own systems. Thanks to access to outside servers and systems, you can leverage potent tools like Gmail and Dropbox to communicate with customers, share files and more. While these cloud services increase your capabilities without busting your IT budget, it is important to remember that every connection that reaches out from your network map open an opportunity for someone else to reach in. Protect your portals: run an external vulnerability scan that reveals every "backdoor" through which an intruder might break into your network. Your password protections are only as strong as the passwords themselves. Having no passwords - or using obvious passwords such as "12345" - undermines the very protection you seek. Yet employees often fail to establish passwords or, when they do, frequently use ineffective ones. 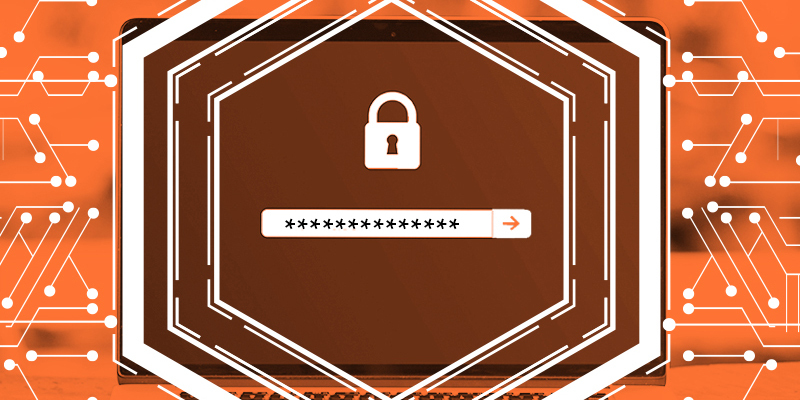 Review your passwords' strength to identify weak spots any unauthorized user could punch through. If you lost a significant chunk of your data right now, how much business would you lose as well? Too many businesses run without sufficient policies, plans and procedures that are executed inconsistently, you are exposed to unnecessary losses. It is time to look for automated backup solutions that are always at work - even when employees might be forgetful. Sensitive data demands special attention. In many businesses, the law obliges you to preserve client confidentiality - and demonstrate that you have processes in place to ensure compliance. The best way to prepare for a regulatory audit is to run regular compliance audits of your own that allow you to take corrective actions before your operation is called into account. Despite high hopes for the "paperless" office, the reality is that businesses spend lots of money printing, faxing, copying and scanning paper documents. Consider the math: paper plus toner plus maintenance plus employee time, etc. It is possible to bring these printing costs under control, but the first step is to discover who prints what, how often, and why. By monitoring your multi-function printers, you can limit access to authorized users, discourage unnecessary or wasteful usage, and encourage less expensive options - such as scan to email or scan to file directories - that save time and money. There may be "ghosts" haunting your networks - inactive users or computers that remain part of your systems, even if they are no longer contributing to your productivity. While the threat may not be immediately obvious, defunct computers represent an expense you do not need to carry. Worse, inactive users may reflect open accounts (perhaps of people who are no longer employed by your business) that could present security holes for unauthorized access. Run audits that show you what is active or not, then clean house - and close security loopholes - by burying the "dead" devices and accounts. To safeguard your business, analyze your network before disaster strikes to be sure that your contingency technologies - such as your backup designated router or alternate domain control - are online and ready for action. Is your IT managed well? We all depend on IT. Given the stakes, it is important our confidence is well placed. Are you sure the technology you rely upon is adequately protected? In our experience, nine out of ten companies have undetected vulnerabilities that could lead to data disaster. If you would like to pre-assess the state of your network, fill out the form below and receive a free download that will help you ask the right questions and know how protect your business.